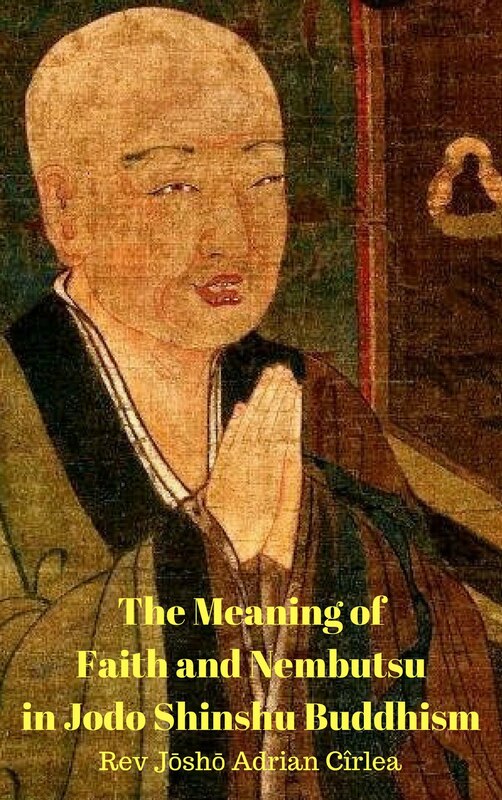 The Meaning of "True Disciple of Buddha"
Shinran Shonin says in the Chapter on Shinjin in The True Teaching, Practice and Realization of the Pure Land Way. 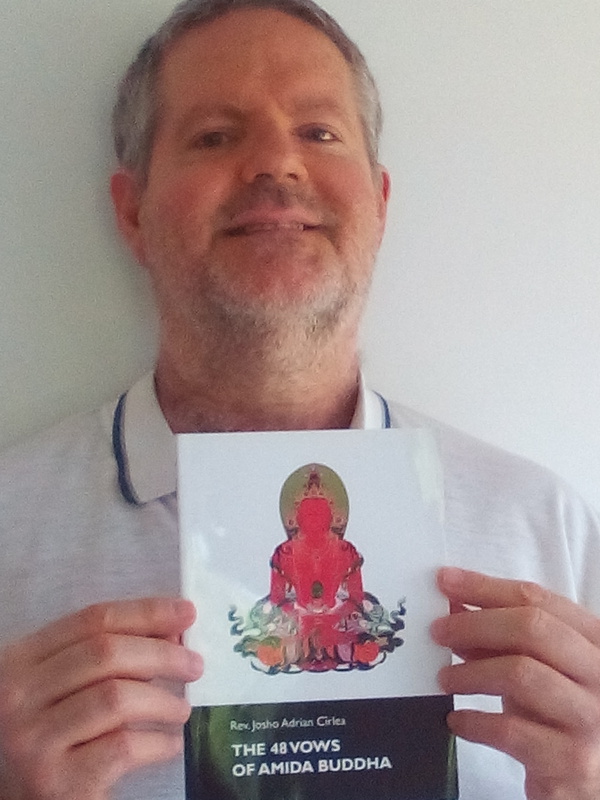 In the above text, Shiran Shonin says that a “true disciple of Buddha” means a person of diamondlike heart and mind (true Shinjin established in the present life), whose own birth is completely settled . As above, Shinran Shonin says a person of Shinjin is a True Disciple of Buddha. 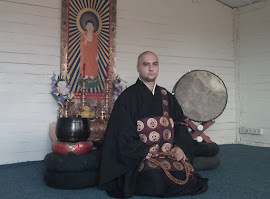 The important problem here is that it is necessary to clarify　what Shinjin is, what it is necessary to do to attain Shinjin, and what changes if Shinjin is attained, in Shiran Shonin and Rennyo Shonin's words. Shinjin is the Shinjin of the 18th Vow, and the true cause (of our birth in the Pure Land). 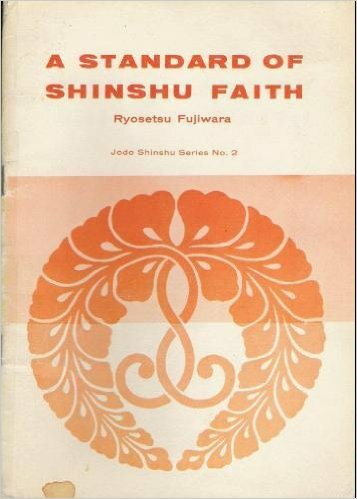 As Shinran Shonin wrote in in the chapter on Shinjin in The True Teaching, Practice and Realization of the Pure Land Way, Shinjin is “untainted by the hindrance of doubt,”② and in the Ichinen Tannen Mon'i、 he wrote “shinjin is hearing the Vow of the Tathagata and being free of doubt.”③ In this way, Shinran Shonin says Shinjin is “hearing the Tathagata's Vow without the mind of doubt” and that this is the true cause (of our birth in the Pure Land). He doesn't say either ethical practice or social practice are Shinjin. This is the important point. Jodo-Shinshu is not a teaching in which we perform ascetic practices through “self-centered effort” (jiriki). Rather it is how we are saved by Amida Buddha's Primal Vow, through “Buddha-centered power” (tariki). Also Rennyo Syonin in the Heard and Recorded During Master Rennyo's Lifetime, 193. In the above text, Shinran Shonin says that even after attaining Shinjin, evil passion is not lost. However, it changes clearly after attaining Shinjin. “When we realize the diamondlike true mind, we transcend crosswise the paths of the five courses and eight hindered existences and unfailingly gain tenbenefits in the present life. What are these ten? 1. The benefit of being protected and sustained by unseen powers. 2. The benefit of being possessed of supreme virtues. 3. The benefit of our karmic evil being transformed into good. 4. 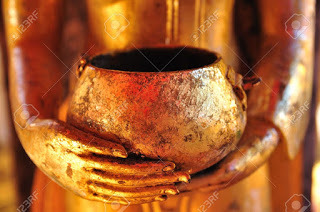 The benefit of being protected and cared for by all the Buddhas. 5. The benefit of being praised by all the Buddhas. 6. The benefit of being constantly protected by the light of the Buddha's heart. 7. The benefit of having great joy in our hearts. 8. 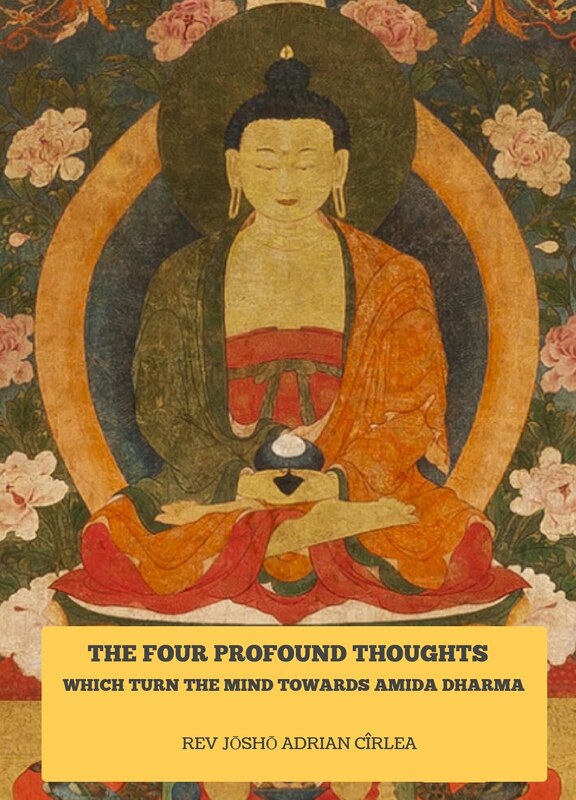 The benefit of being aware of Amida's benevolence and of responding in gratitude to his virtue. 9.The benefit of constantly practicing great compassion. 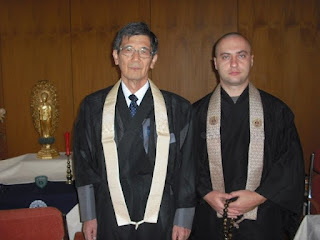 In this way, Shinran Shonin describes ten benefits in the present life. Again, he says in Lamp for the Latter Ages.20. “When, upon hearing this, a person's trust in the Buddha has grown deep, he or she comes to abhor such a self and to lament continued existence in birth-and-death; and such a person then joyfully says the Name of Amida Buddha, deeply entrusting himself to the Vow. That people seek to stop doing wrong as the heart moves them, although earlier they gave thought to such things and committed them as their minds dictated, is surely a sign of having rejected this world. Moreover, since Shinjin that aspires for attainment of birth arises through the encouragement of Sakyamuni and Amida, once the true and real mind is made to arise in us, how can we remain as we were, possessed of blind passions? 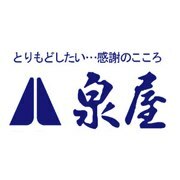 "⑧. As stated above, a person of Shinjin changes after attaining Shinjin. However, evil passion is not lost, as Shnran Shonin says in A Record in Lament of Divergences, 4. “However much love and pity we may feel in our present lives, it is hard to save others as we wish; hence, such compassion remains unfulfilled.”⑨. 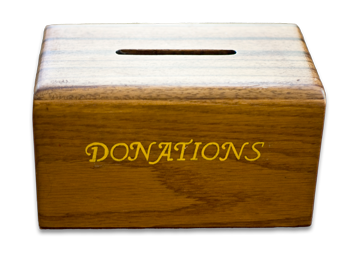 Equally for us, it is not easy to help people and to contribute to society. I think what we have to understand here is that we have to become a person of Shinjin, a person of firmly established Shinjin, a person of the Certainty of Birth. 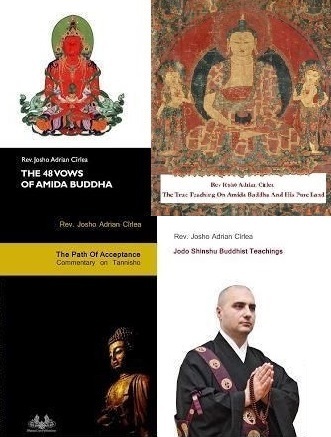 What Shinran Shonin means when he says "True Disciple of Buddha" is a person of firmly established Shinjin, a person who attains nirvana by Shinjin. 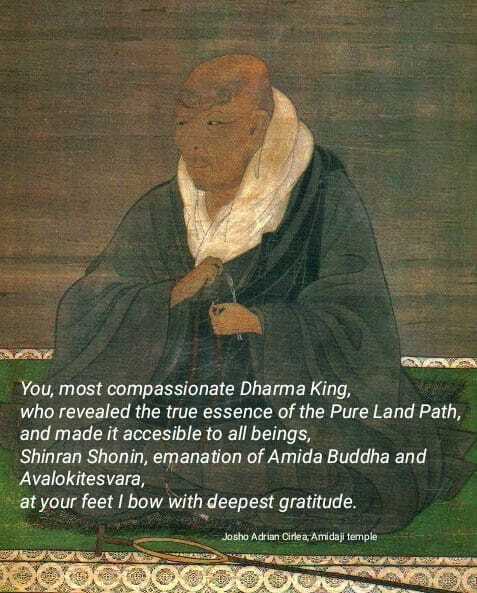 The meaning of Shinran Shonin phrase, "True Disciple of Buddha" is this, and there are no other meanings. Primarily, I think that it should mean a person of firmly established Shinjin, and a person of Certainty of Birth through Shinjin. 1. The Collected Works of Shinran. Jodo Shinshu Hongwangi-ha, p. 117. 2. The Collected Works of Shinran. Jodo Shinshu Hongwangi-ha, p. 94. 3. The Collected Works of Shinran. Jodo Shinshu Hongwangi-ha, p. 474. 4. The Collected Works of Shinran. Jodo Shinshu Hongwangi-ha, p. 332. 5. The Collected Works of Shinran. Jodo Shinshu Hongwangi-ha, p. 421. 6. The Collected Works of Shinran. Jodo Shinshu Hongwangi-ha, p. 488. 7. The Collected Works of Shinran. Jodo Shinshu Hongwangi-ha, p. 112. 8. The Collected Works of Shinran. Jodo Shinshu Hongwangi-ha, p. 553. 9. The Collected Works of Shinran. Jodo Shinshu Hongwangi-ha, p. 663.